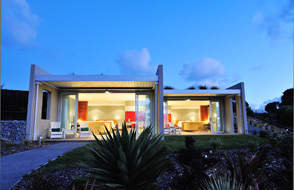 216 Luxury Accommodation is a unique, luxury experience offering stylish, contemporary, self-contained accommodation at Muriwai Beach on Auckland’s West Coast. The two guest suites are positioned on an elevated site to maximise the views across the Tasman Sea and up the coastline of Muriwai Beach. 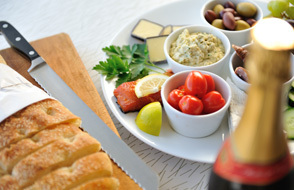 Relax, unwind and experience friendly personal service. Enjoy modern comfort and luxury in beautiful surroundings. Wander through the 2.2 hectares of landscaped native gardens or relax on the deck with a glass of wine and take in the unforgettable ocean view. 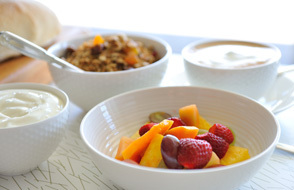 A fresh and delicious breakfast, served in your suite, is included with your accommodation. Two separate self-contained suites with private decks on an elevated landscaped site. 216 offers a range of accommodation packages, or can tailor a package to suit you.